Terra, Medcom Inspector, Mazur, Soeks, Gamma Scout and many other brands are out there. They vary from amateur ($100-400 USD) to professional models ($700-2000+USD). Many of them have an output for data collection to a computer to generate live readings on websites, or generate a graph. A professional stated “some meters detect beta and gamma, but not alpha. 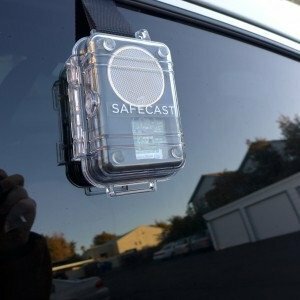 If entering an areas such as Japan, you should really have a pancake style alpha, beta, and gamma sensitive tube before going into a contaminated area.” Most people reading this would likely only be doing readings in Canada or the United States, but we thought we would mention this for anyone considering on getting a meter for more then basic readings. 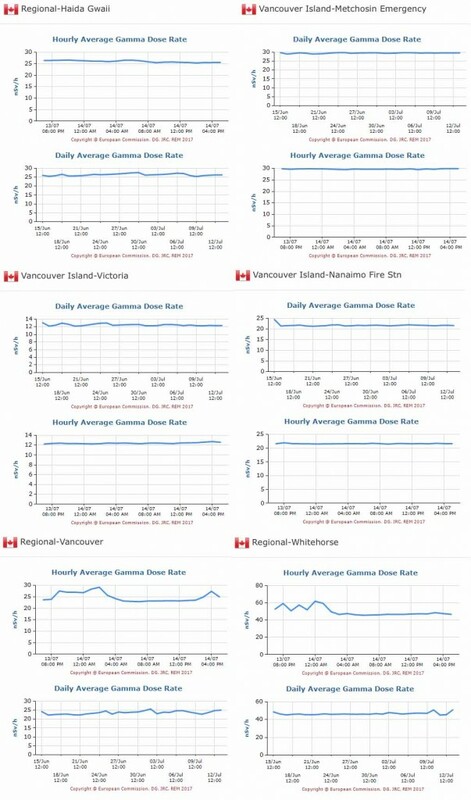 These measurements were taken between 2015-09-11 and 2016-03-10 New Readings are needed in BC! 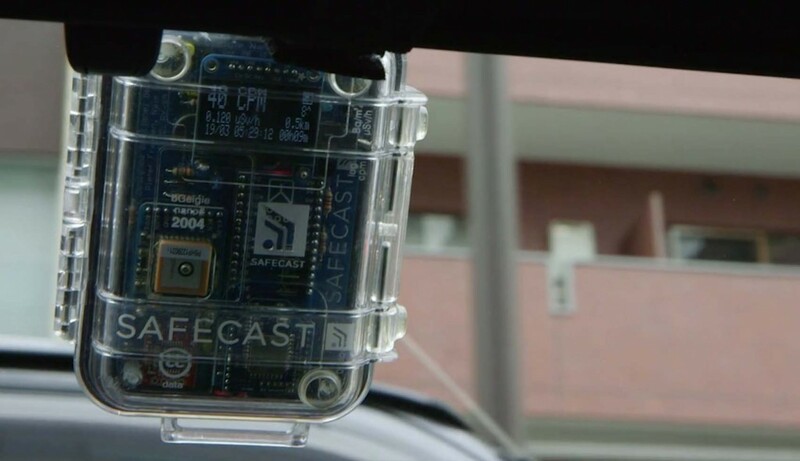 ” Radiation levels exceeding the government-set safety limit of 0.23 microsieverts per hour have been detected on the grounds of five schools in the city of Kashiwa, Chiba Prefecture, the prefectural board of education said Monday. This is an ongoing collection of conversion factors used to change a radiation reading into another type of measurement. What Are Counts Per Minute in Radioactivity? 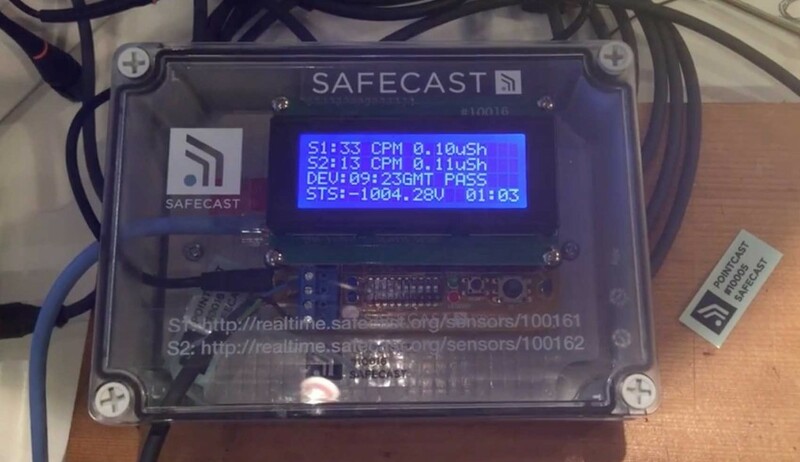 When you get a Geiger counter and are learning how to use it, you’ll need to know about CPM, which is the counts per minute that you’ll see displayed on the analog meter in addition to the corresponding level of radiation. You might sometimes see counts per second, or CPS, instead, or you can easily convert from CPM to CPS if you’d like by dividing your CPM value by 60. So what is the CPM reading all about? The counts per minute measurements are generally used to pick up the amount of particles around, which could include alpha or beta particles. A different level of measurement tends to be used for rays, including gamma rays and X-rays. Instead of showing how much radiation something is giving off, the CPM radiation levels tell how many detection events the meter picks up. So the CPM amount doesn’t show you the amount or strength of the radiation. The device that you’re using to measure radiation can then also tell you the dose rate, although the conversion from CPM to dose rate will vary based on your specific device and some other factors, such as the kind of radiation. A Geiger meter uses energy compensation to create a reading of the dose. While the measuring rate is “counts per minute,” the device often takes a sample from less time than the full minute and then determines what the total would be for the minute based on that sample. What Does the CPM Value Mean? Once you get your CPM reading from your device, you then need to figure out what that reading means. 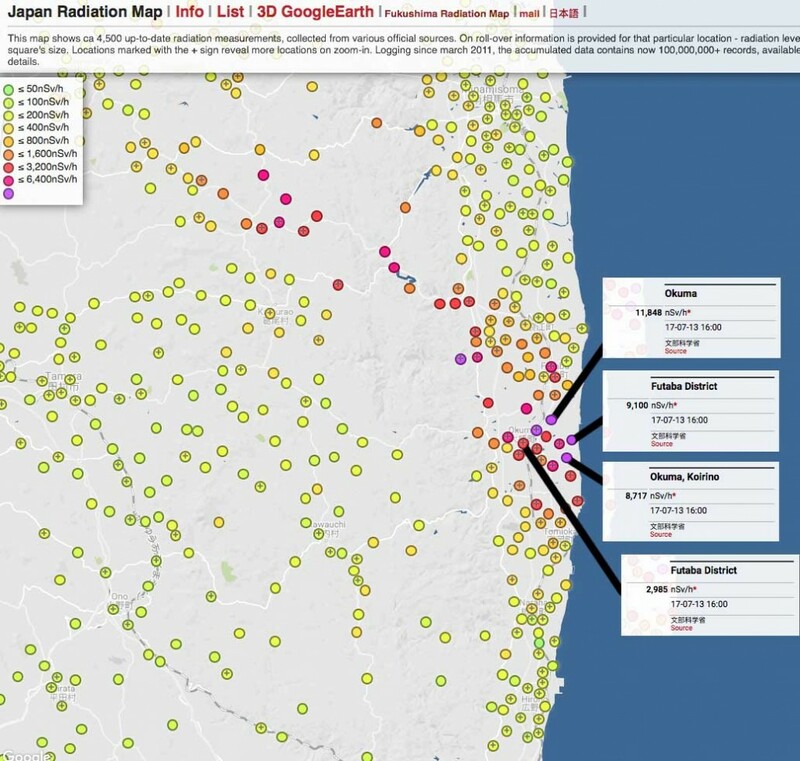 What are normal radiation levels CPM and what are dangerous ones? If you have your Geiger counter calibrated to Cs137, which most are, 1 milliRad per hour would equate to 1,200 CPM on your counter. At the same time, 1 microSievert per hour would equate to 120 CPM on the reading. 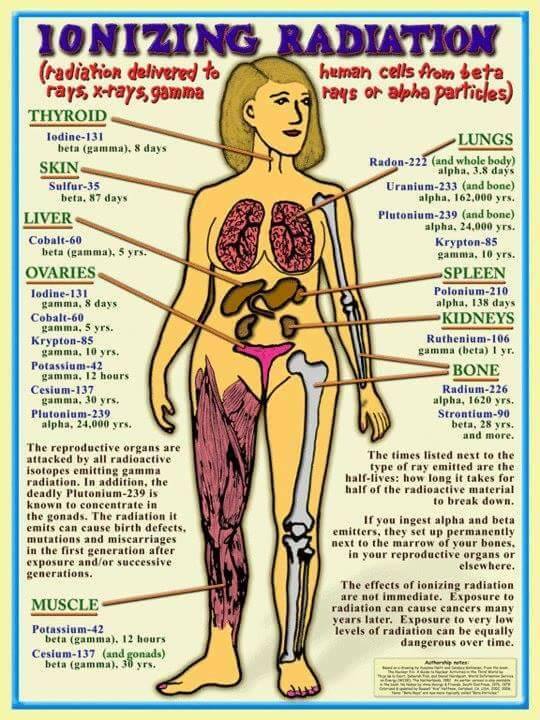 These are more universal units of measurement that can help you better understand your radiation exposure. A CPM reading of at least 100 is considered a warning level by the Radiation Network, although the length of time you’re exposed to the radiation is an important factor. 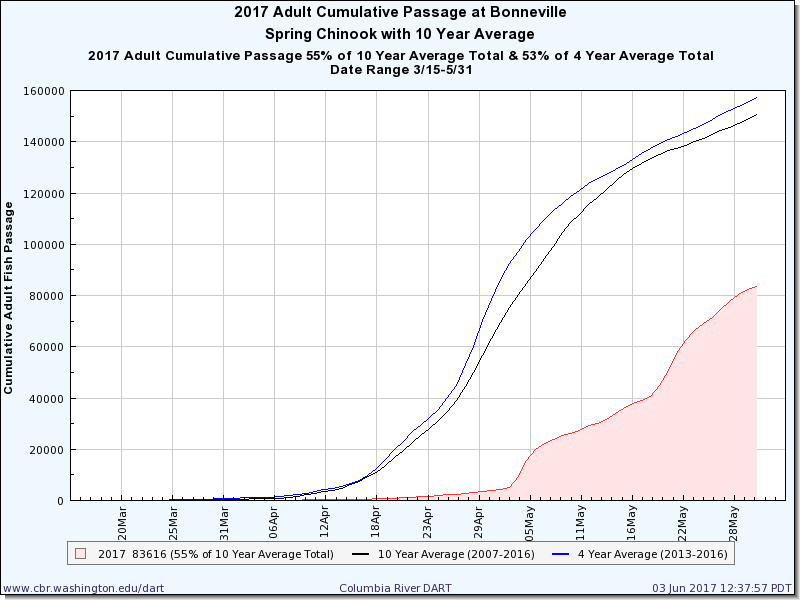 If you’re concerned about staying within safe radiation levels, Ken Jorgustin explains on the Modern Survival Blog that it would take 432 days at a CPM of 100 to up your chance of getting cancer to odds of 1 in 1,000. At higher exposure rates, it would take less time. For instance, it would only take four days to increase your rate to those odds if you’re exposed to a level of 10,000 CPM. When you use a Geiger Mueller detector, you’ll be able to easily see the counts per minute of radiation in a certain area. This can help you understand more about your environment and your exposure. Rad and Gray are ‘absorbed dose’ units. Rem and Sievert are ‘equivalent dose’ units. Why a Rem and a Sievert? They relate to biological damage done to human tissue and factor the differences between types of radiation. A multiplication factor is used that represents the ‘effective’ biological damage of a given type of radiation. This is the main reason for these units – to factor the differences in damage that is caused from one type of radiation to the next. For example, the list above shows that a ‘rad’ or ‘gray’ unit of ‘Alpha’ energy that is absorbed by soft human tissue does 20 times more damage than a ‘rad’ or ‘gray’ of Gamma, X-ray or Beta radiation. 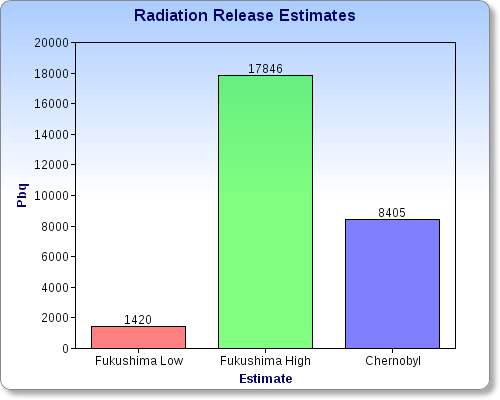 Radioactivity or the strength of radioactive source is measured in units of becquerel (Bq). 1 Bq = 1 event of radiation emission or disintegration per second. One becquerel is an extremely small amount of radioactivity. Commonly used multiples of the Bq unit are kBq (kilobecquerel), MBq (megabecquerel), and GBq (gigabecquerel). 1 kBq = 1000 Bq, 1 MBq = 1000 kBq, 1 GBq = 1000 MBq. An old and still popular unit of measuring radioactivity is the curie (Ci). 1 Ci = 37 GBq = 37000 MBq. 1 Ci = 1000 mCi; 1 mCi = 1000 µCi; 1 µCi = 1000 nCi; 1 nCi = 1000 pCi. 1 Bq = 27 pCi. Becquerel (Bq) or Curie (Ci) is a measure of the rate (not energy) of radiation emission from a source. RICHLAND, Wash. — A portion of an underground tunnel containing rail cars filled with radioactive waste collapsed Tuesday at a sprawling storage facility in a remote area of Washington state, forcing an evacuation of some workers at the site that made plutonium for nuclear weapons for decades after World War II. No workers were inside the tunnel when it collapsed, causing soil on the surface above to sink two to four feet (half to 1.2 metres) over a 400 square foot (37.1 square meters) area, officials said. The tunnels are hundreds of feet long, with about eight feet (2.4 metres) of soil covering them, the U.S. Department of Energy said. SPOKANE, Wash. — A portion of a tunnel containing buried rail cars full of radioactive waste collapsed Tuesday at a sprawling storage facility in a remote area of Washington state, forcing an evacuation of some workers at the site that made plutonium for nuclear weapons for decades after World War II. No workers were inside the tunnel when soil collapsed half to 1.2 metres over a 37.1 square-metre area. The tunnels are hundreds of metres long with about eight feet 2.4 metres of soil covering them, the agency said. 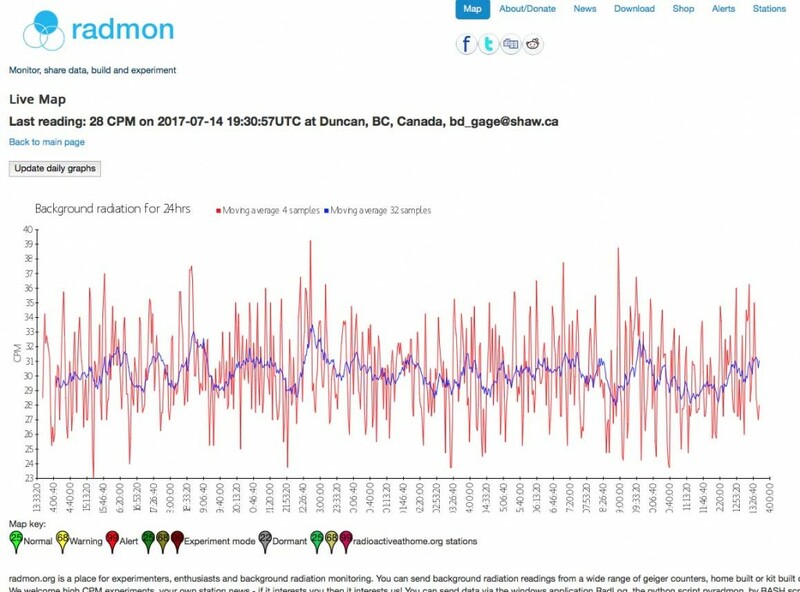 For the first time, seaborne radiation from Japan’s 2011 Fukushima nuclear disaster has been detected in a Canadian salmon, says UVic chemical oceanographer Jay Cullen, who leads the InFORM coastal network that monitors marine radioactivity off BC. 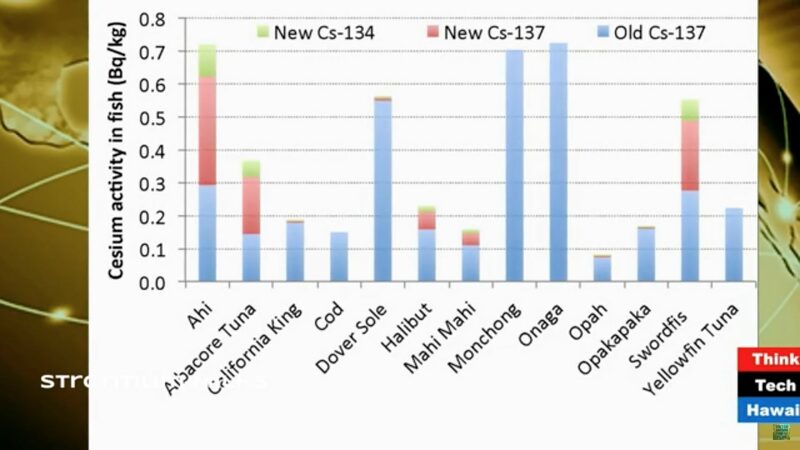 The single sockeye salmon contained a miniscule amount of cesium-134, the “fingerprint” isotope from Fukushima. The salmon was collected in Okanagan Lake in summer 2015 and was one of eight fish out of a total of 156 that tested positive for trace levels of cesium-137, also a manmade isotope, but not necessarily from Fukushima. 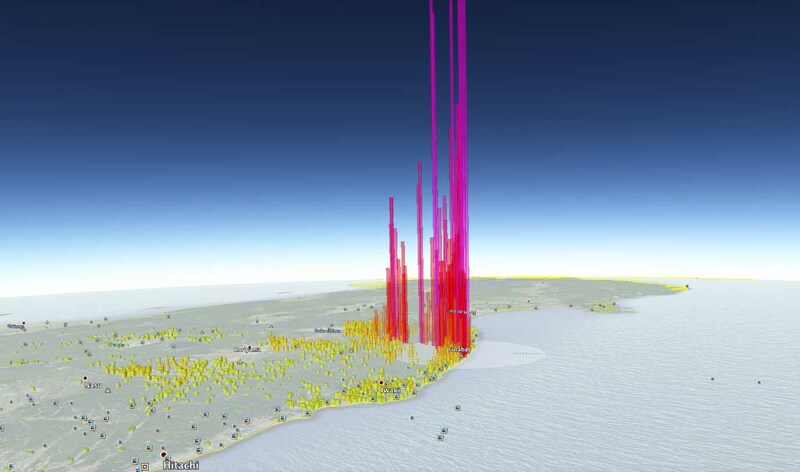 “With its roughly 30-year half-life, cesium-137 is still present in the environment from 20th-century nuclear weapons testing and Chernobyl, in addition to Fukushima,” says Cullen. 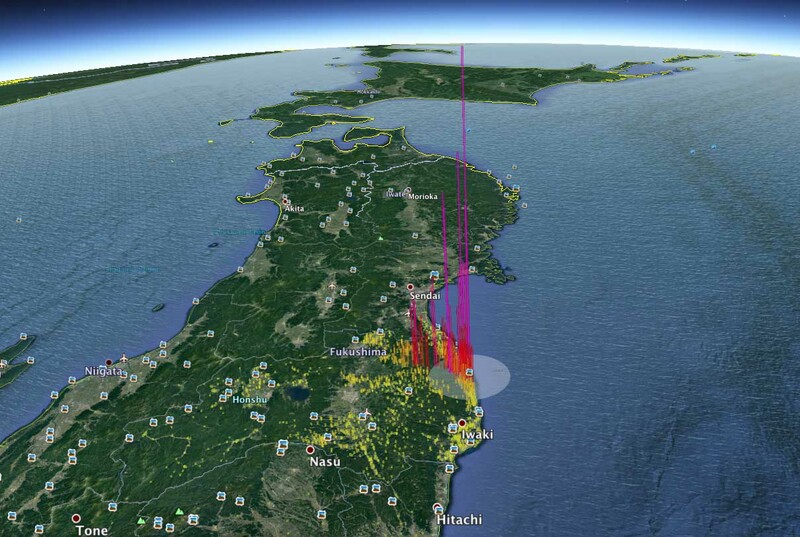 The team did more intense analysis to determine if the telltale cesium-134 was also present. The level of cesium-134 in the one salmon was 10,000 times lower than Health Canada safety guidelines, which is nowhere near a significant risk to consumers, says Cullen. 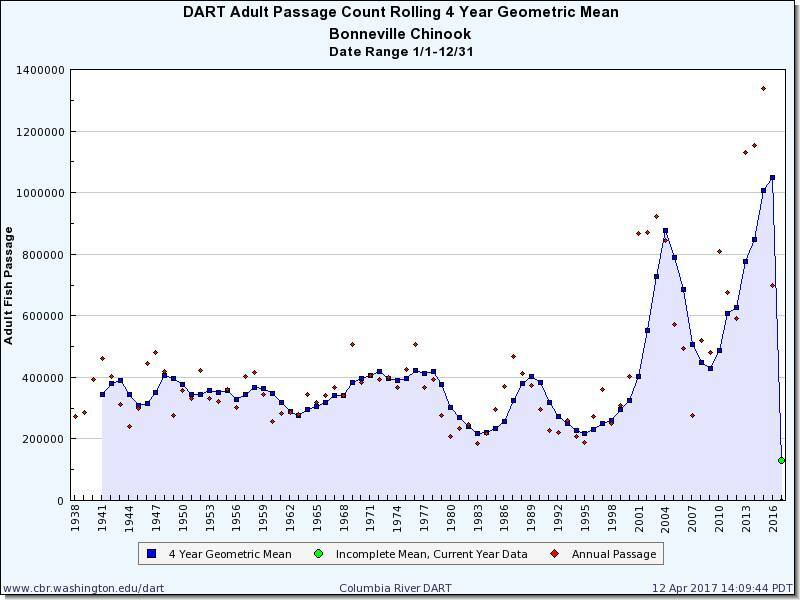 Testing in 2016 discovered one sockeye salmon from Sproat Lake on Vancouver Island with a “minimum detectable concentration” of cesium-137. 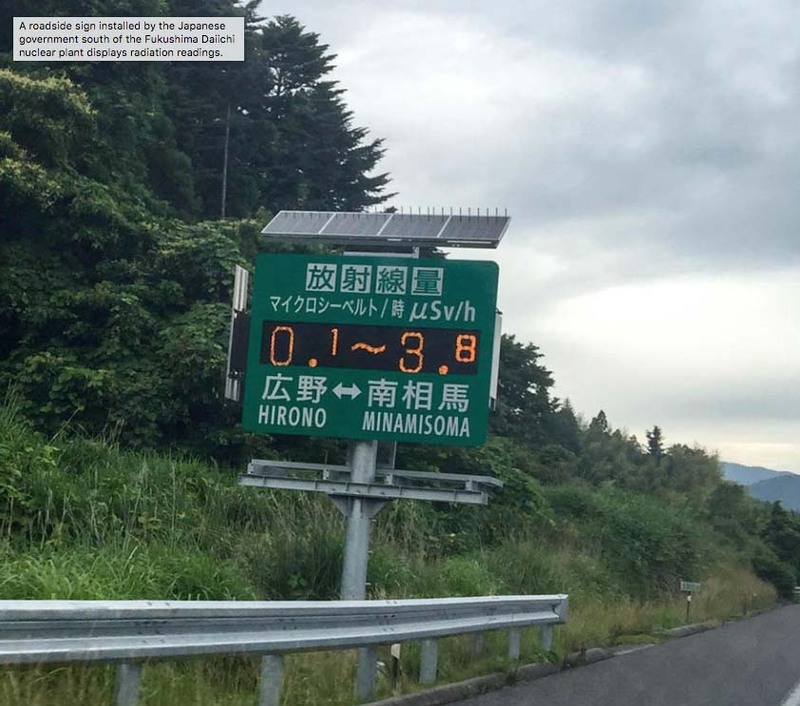 Further testing is being done to determine whether it’s traceable to Fukushima. 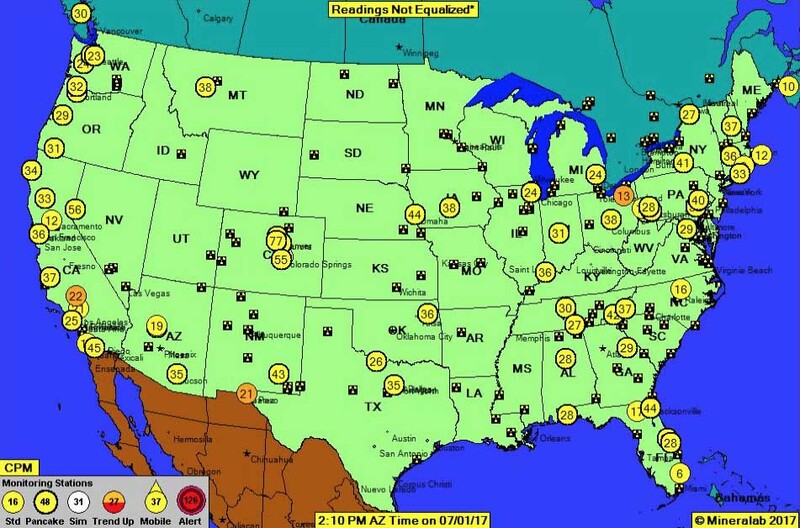 The radiation plume from Fukushima has spread throughout the northeast Pacific from Alaska to California with maximum levels of contamination expected nearshore this year and next. 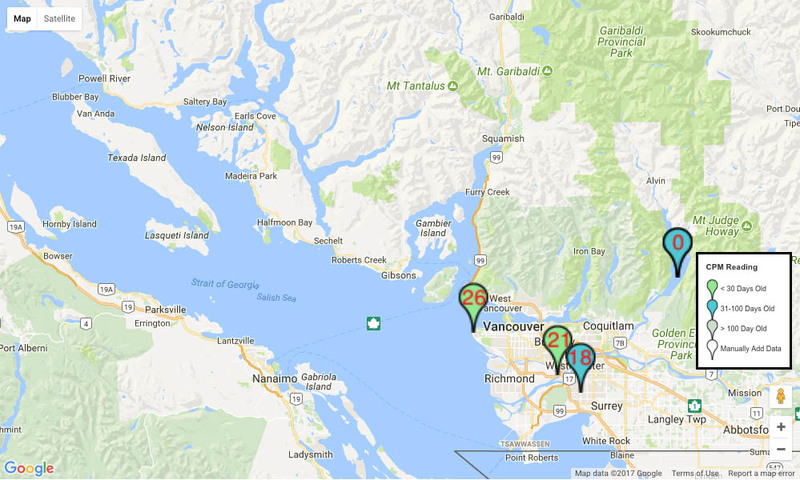 The InFORM network involves scientists in Canada and the US, health experts, non-governmental organizations—and citizen scientists along the BC coast who assist with the monthly collection of water, and annual collection of fish and shellfish samples for analysis. 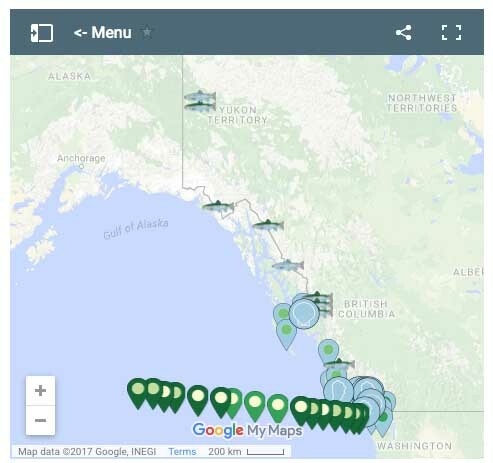 The samples supplement measurements taken offshore by Fisheries and Oceans Canada and a citizen scientist network coordinated by Woods Hole Oceanographic Institution that extends from the Bering Strait to San Diego. 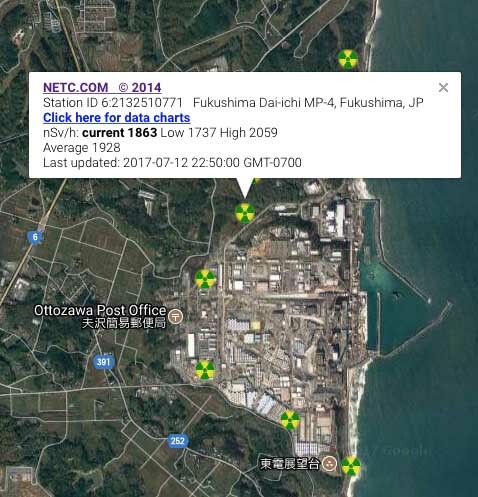 New research has found that radiation from the 2011 Fukushima nuclear accident in Japan has reached more sites in the waters off the coast of North America. 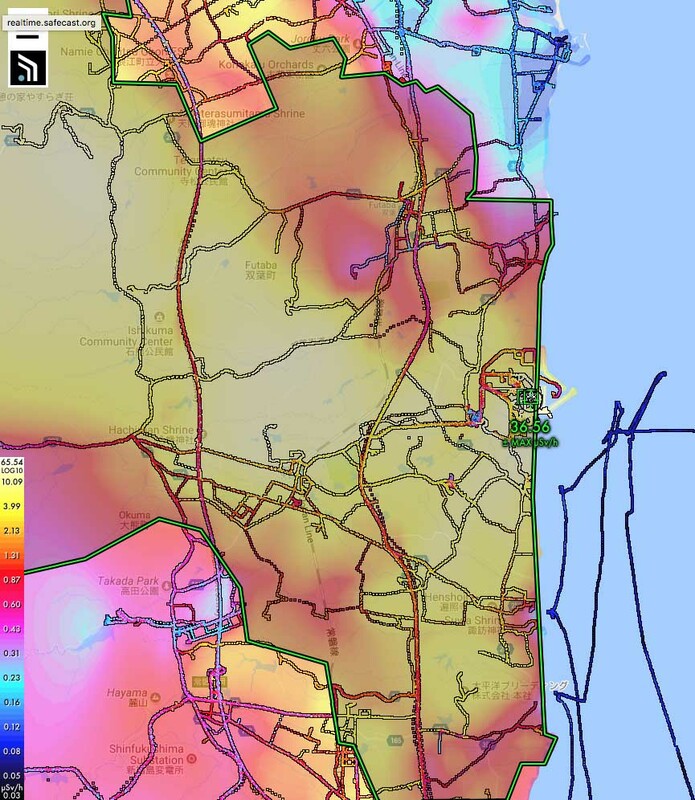 The Woods Hole Oceanographic Institution has found the highest level of contamination at a monitoring site about 1,600 miles west of San Francisco, with the sample returned as being 50 per cent higher than other samples. 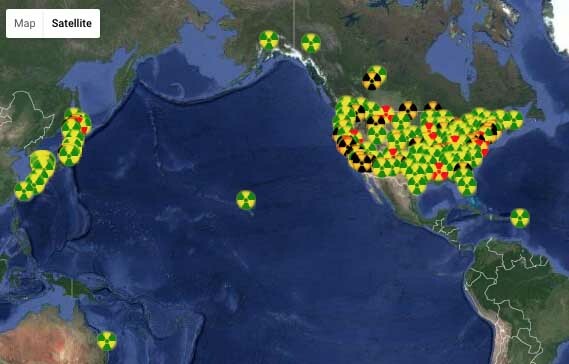 However the level of radiation is still 500 times lower than the U.S. government safety limit for drinking water. There is also no concern for boating or swimming within the Pacific Ocean. On March 11, 2011, a magnitude-9 earthquake struck off the coast of Japan, triggering a tsunami, killing more than 10,000 people and leaving hundreds of thousands homeless. 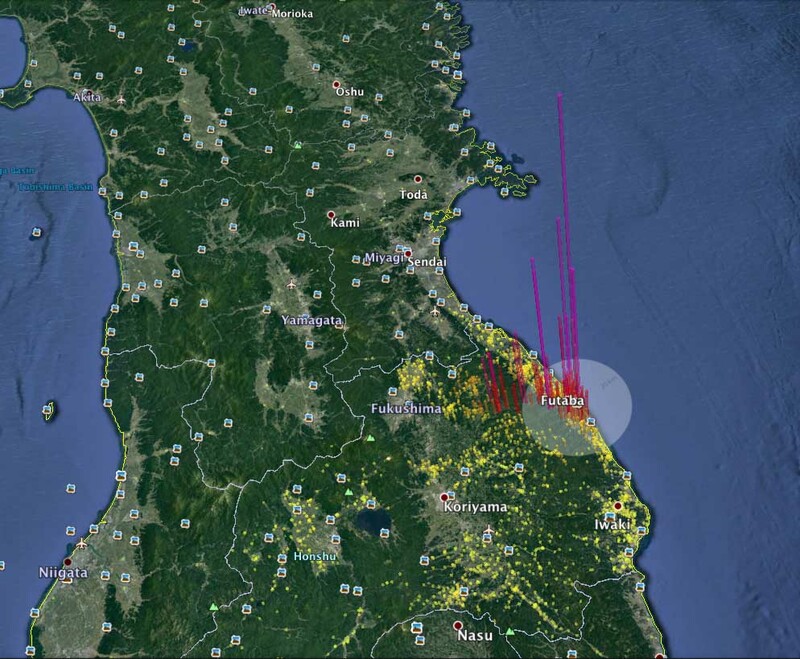 The massive earthquake also damaged the Fukushima Dai-ichi nuclear power plant, causing three cooling systems to fail which resulted in partial meltdowns of some fuel rods. Contamination leaked out of the plant. That contamination has been carried along currents in the Pacific Ocean. In 2012, Fukushima radiation was first detected 1,500 km off the coast of British Columbia. Though the contamination is of concern, the levels are still eight to 10 fold less than when nuclear weapons were being tested in 1960s. And, according to Fukushima InFORM, a Canadian-based monitoring organization, the levels do not pose a risk to public health or the ecosystem.